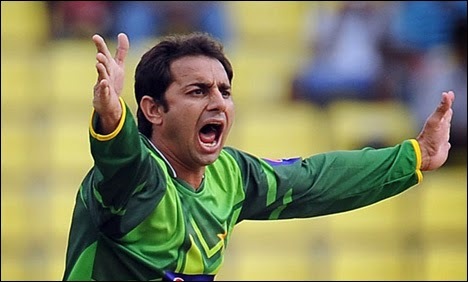 After losing first test match to Sri Lanka there is another bad news for Pakistan Cricket that match officials has declared bowling action of Pakistani legend spinner Saeed Ajmal to be suspecious. according to officials Ajmal bowled several suspecious deliveries during test match against Sri Lanka. Ajmal will now have to go through ICC test within next 2 weeks where his bowling action will be checked. during this period he will be allowed to play International cricket. It is not the first time that action of a Pakistani bowler is declared suspecious who is performing Impressively in International cricket. In the past actions of Shoaib Akhar, Muhammad Shabbir were also objected. this is a really bad news for Pakistan at a time when World Cup 2015 is just around the corner because Saeed Ajmal is considered the best Pakistani bowlers who has shown his talent against all great teams of the world. lets see what decision ICC make about him now.